If you frequent my blog, you know that we love cloth diapering, you can even check out some of the past reviews I’ve done on cloth diapers. 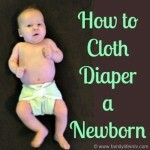 Cloth diapers are one thing, but have you ever wondered how you clean them? 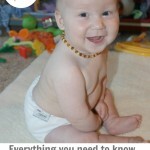 Before I started cloth diapering this is probably one of the things that kept me from doing so, and why we used a service with our first child. But along came baby #2 and our friends who owned the cloth diaper service closed their doors, so I dove into washing my own cloth diapers. 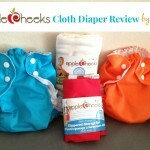 Almost a year ago I wrote a post about must-have cloth diaper products. Well – I have a new one. You see at that time we really hadn’t had to deal with difficult poop because thanks to my son’s FPIES he didn’t start actually eating food regularly until he turned 2 years old. Then came the poop – and the struggle with how to clean it. Thankfully, there are genius people out there that have already done a lot of the hard work for me. They invented Spray Pal! So if you are wondering how you should handle cleaning your cloth diapers, you might want to check out “The WHAT DO I DO WITH THE POOP? Bundle.” I was super excited to have the opportunity to do a Spray Pal review because I’d heard SO many amazing things about this product I had to check it out for myself! So what makes the Spray Pal so special? 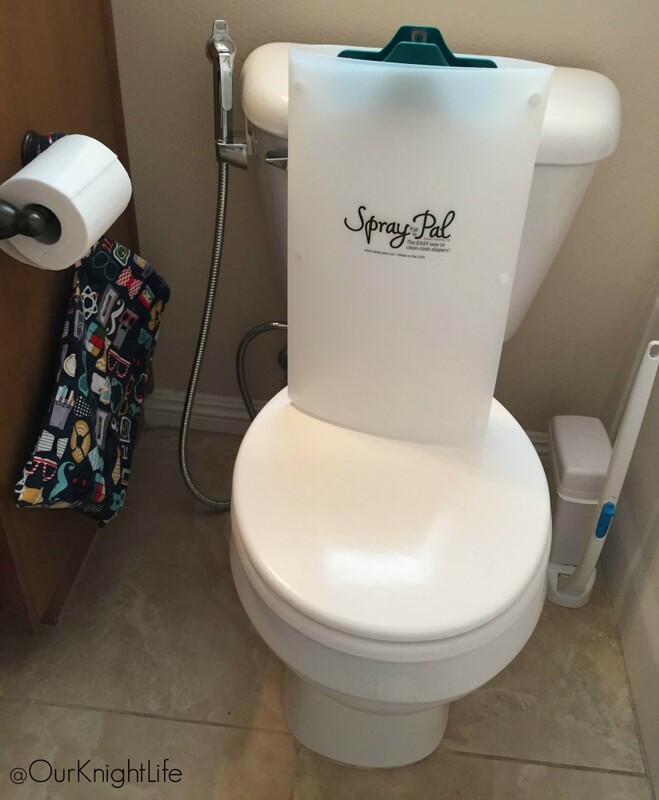 The Spray Pal fits right onto your toilet and it doesn’t require a plumber (trust me – I installed my own Spray Pal – not my husband – me!) or any special tools. 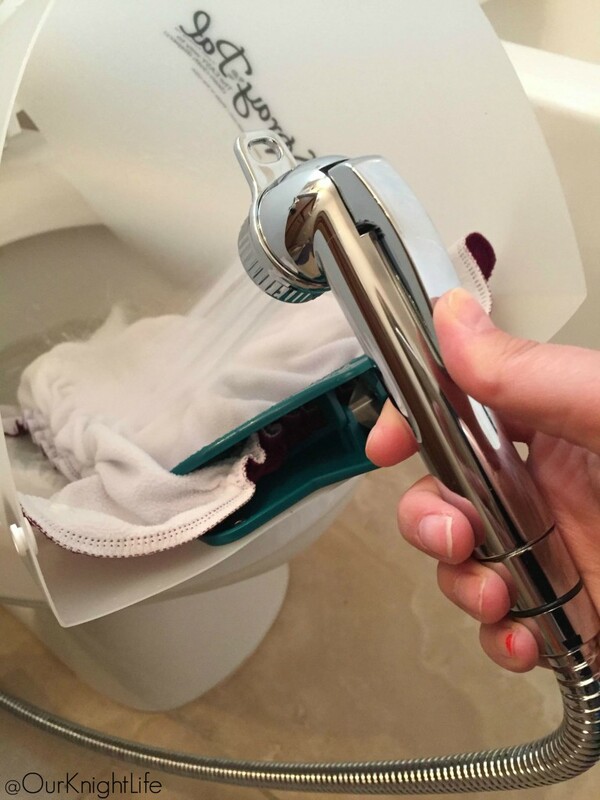 You simply clip the dirty diaper and hold it over the toilet, from there you add water pressure and spray the poop off the cloth diaper. It does take a little bit to get used to placing the cloth diaper on the clip and then spraying to get the poop off, but once you get the hang of it, it’s super easy. Since my son is getting older and finally eating real food, this is a must have for those solid poops. We actually ventured into the “potty training” territory shortly after I got my Spray Pal. But guess what? It’s great for that too. Trust me, accidents will happen even in underwear, so it’s nice to have something to help clean up the mess. Don’t worry – I know you aren’t in my bathroom – no poop on this diaper – just a “to get the general idea” image. 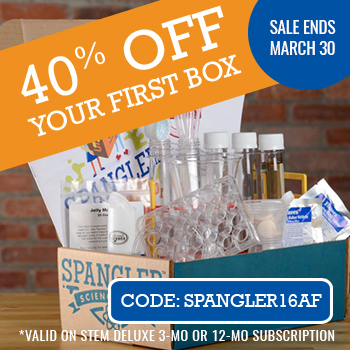 What if you already have a sprayer, you can purchase the Spray Pal splatter shield separately too. 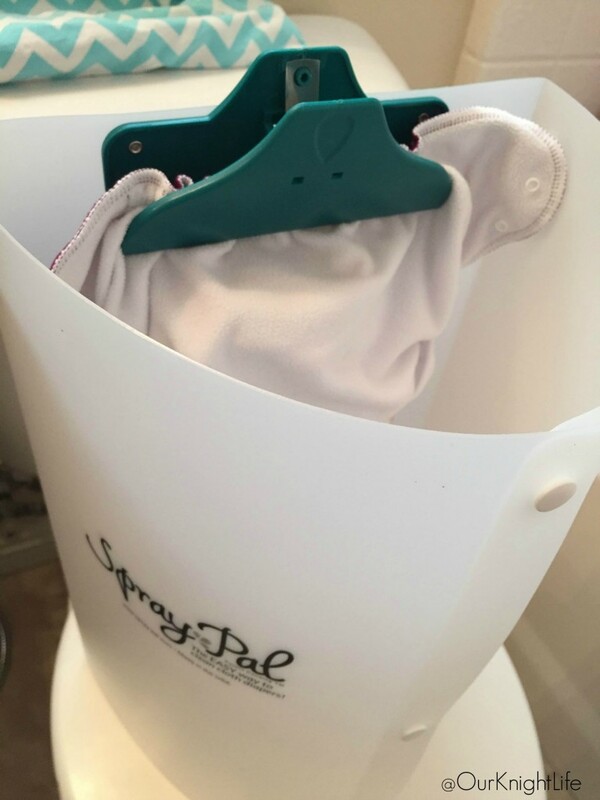 I hope you enjoy the Spray Pal as much as I have and I also hope it makes your cloth diapering experience that much more pleasant – or at least a little less messy! The awesome people at Spray Pal have allowed me to giveaway a Spray Pal shield for one lucky Our Knight Life reader. Please use the below Rafflecopter form to enter. US only – ends 10/31. PS – Follow Spray Pal on Facebook, Twitter, and Instagram. Jen (the inventor and owner) is the most down to earth real mom – and she’s pretty darn funny too! We use all styles of diapers. I think covers and predfolds are my favorite 🙂 Thank you! We love SPray Pal! I didn’t use cloth diapers with #1 because she was in daycare at 12 weeks but with #2, I’ll be keeping her with me while I work from home. I have a stash of diapers and I’m just now getting used to the idea of using them — so this spray pal would be a huge help! We love Applecheeks…and use them because it’s better for the Earth and cheaper for my pocket! We have a variety of cloth diapers but I tend to prefer AI2 diapers. We use pre folds with covers! Have been using a diaper service since our 21 month old was born. Just found out I’m pregnant with #2, so we decided to take the leap and purchase and launder our own! Having the service for so long gave me confidence we can do it ourselves. First week down, not bad! I have too many favorites! RIght now blueberry simplex are my fav! I loved AIOs but we’ve changed over to prefolds and covers for cost while CDing two! A spray pal would help so much! I use all types of cloth diapers but I would say my across-the-board favorite are pocket diapers. This accessory is very cool. I wish I had something like it when my kids where little. Great review, have a great night. 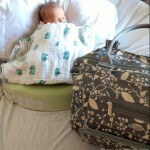 We started cloth diapering when I stayed home with the birth of our second child to save money. I love AIOs!